The most innovative kind of designing can be seen in the creation of Bob. With his art, he is giving a new definition to the craft of a tattoo artist. Bob has come up with life-like images of mother Mary and Jesus Christ. This tattoo artist is always experimenting with his craft. 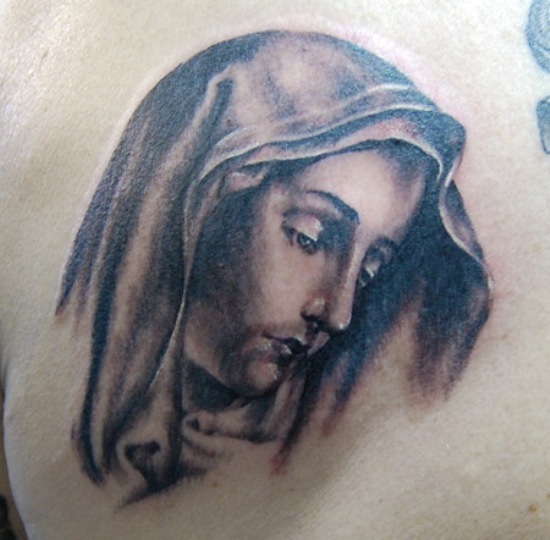 As he curves the tattoo of mother Mary and Jesus Christ, he brings a kind of relation between God and mankind. Both the images are so made, as if drawn on a canvas. Theyâre as perfect as one can ever imagine. I must say this is a great way to worship and a unique way of experiencing Spiritualism. In spite of wearing a T-shirt or a locket of their images, it is amazing to have the tattoos like this. The amount of pain that the person can feel while making these tattoos is in itself a wonderful experience of ecstasy. It is a lifetime achievement and proud art to have.